SQL programming is more important than ever before. When relational databases were first introduced, the mark of a good SQL programmer was someone who could come up with the right answer to the problems as quickly as possible. However, with the increasing importance of writing efficient code, today the SQL programmer is also charged with writing code quickly that also executes in optimal fashion. This book is dedicated to SQL programming internals, and focuses on challenging SQL problems that are beyond the scope of the ordinary online transaction processing system. This book dives deep into the internals of Oracle programming problems and presents challenging and innovative solutions to complex data access issues. This book has brought together some of the best SQL experts to address the important issues of writing efficient and cohesive SQL statements. 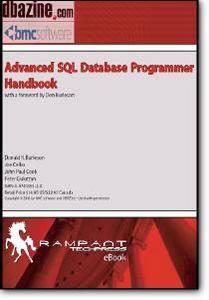 The topics include using advanced SQL constructs and how to write programs that utilize complex SQL queries. Not for the beginner, this book explores complex time-based SQL queries, managing set operations in SQL, and relational algebra with SQL. This is an indispensable handbook for any developer who is challenged with writing complex SQL inside applications.